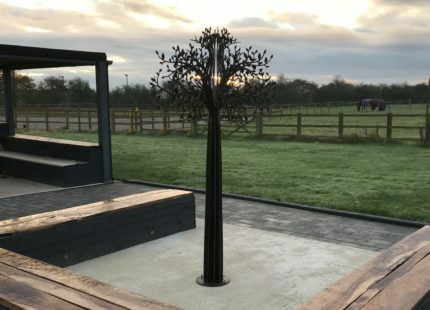 At Exteria, we can tailor make bespoke projects to suit your space. Our bespoke design service will allow you to achieve the garden of your dreams. We specialise in metal products. These can be laser-cut with almost any design you can think of. For example, you can have your family name laser-cut into a planter or your favourite breed of dog cut into a log basket! The only limit really is your imagination! Contact us anywhere on the website to let us know about your idea! Whether you want to customise a product or have an idea for a completely bespoke project – we want to hear from you. Don’t hesitate to let us know your ideas and our designers will come up with a bespoke solution to fit your space, budget and taste.